Nixon Motor Sports: What to do in Milan Italy! 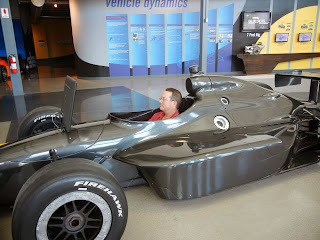 Driving a simulator even once would be a blast, so that would leave plenty of time during the rest of a vacation to take part in what I like to call "eat some Italian food"! But as the joke goes, over in Italy they just call it eating "food". From looking at the website in the link above, there are four simulators, and you can book your day and time in advance! You could even send me a coupon good for a visit and I'd be happy to tell you how much fun it is! And while you're at it, why not throw in some airfare and a passport for me and I'll be ready to go! THE SIMULATION WILL LAST 7 MINUTES. 2: Yes, I weigh less than 264 pounds! 3: Yes, I'm at least 55 inches tall!